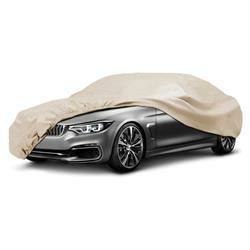 Ultra-Soft Lined Fully Tailored Indoor Car Cover. Covercraft's most popular and luxurious indoor cover has a super-soft fleecy inner lining and is much thicker than most other cotton / polycotton covers. Fully breathable and treated to be water repellent, rot and mildew resistant, these covers provide a superior level of indoor protection.